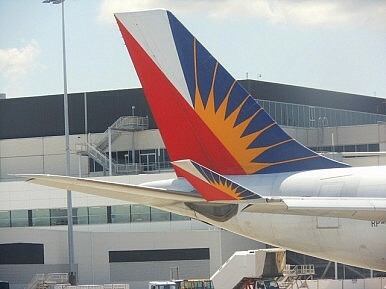 The Philippine Supreme Court upsets the public with a decision to review a major ruling over Philippine Airlines. The Philippine Supreme Court once again finds itself at odds with public opinion after stating that it will review a supposedly ‘final and executory’ decision ordering the reinstatement of 1,400 flight attendants represented by the Flight Attendants’ and Stewards’ Association of the Philippines after they were retrenched for holding a strike in 1998. The case between the FASAP and Philippine Airlines has been languishing in the courts for more than 13 years. The recalled ruling was supposed to bring the case to a close and offer justice to the 1,400 employees. However, PAL lawyer Estelito Mendoza wrote a letter to the Supreme Court pointing out that there had been a technical mistake over how the decision was reached. As a result, the Supreme Court decided to recall the earlier decision and take up the case in order to resolve the technicalities issue. But many public and legal figures were surprised at the recall, suggesting that since all it seemed to take for the decision to be recalled was a letter from the losing party’s lawyer, rather than a formal plea, powerful (and rich) figures may well have influenced the Court. Sen. Miriam Defensor-Santiago, a legal heavyweight, was dismayed at how the Court’s own internal rules had been violated, with Mendoza’s letter being entertained despite a prohibition on new pleas or motions once a decision has been made final. Others have expressed fear that the recall over a technicality is merely a prelude to the actual reversal of the decision’s substantive ruling favouring the flight attendants. Regardless, the Court’s reputation and credibility as the people’s last hope for justice and rule of law in a country where the rich and powerful rule already looks shaky. For now, the flight attendants and the public will have to hope that their extended wait for justice and closure on the matter won’t take another decade.